9. Richard Rue3 Cox (Joseph2, John1) was born on 29 August 1805, the first white child born in what is now Wayne County, Indiana (S18 (p. 598), and died 11 September 1877 at Oxford, Mercer County, Illinois. He married on 13 December 1832 in Montgomery County, Indiana, Sarah Lamb Epperson, who was born on 4 December 1809 in Hawkins County, Tennessee, a daughter of Charles and Sarah Love Lamb Epperson. Sarah died 4 February 1864 at Oxford, Mercer County, Illinois. Records of Charles Epperson Cox indicate that his parents were buried in the Oxford cemetery, in the same lot with Charles and Sarah Epperson, although there apparently is no surviving marker. Richard married, second, Mrs. Susannah Morford on 3 August 1865 in Mercer County, Illinois. Susan was born in Pennsylvania on 1 September 1801. 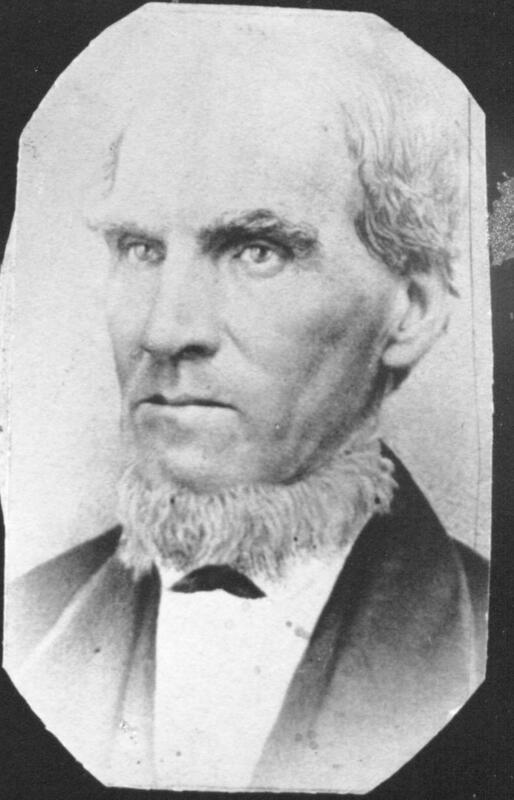 Richard Cox was among the first settlers in the eastern part of [Rivoli] township, locating in 1837. He was a native of Ohio, of limited education, but of good native sense and strictly upright character. He was among the first elected to the office of justice of the peace in the eastern part of the county. He was one of the early county commissioners, also, and was re-elected to both offices several times. He was a man of pronounced views, and outspoken in their advocacy, and was esteemed and respected by his neighbors. He was a member of the Methodist Episcopal church; a whig, while that party existed, and a republican after the organization of that party. The same work (p. 749) mentions Richard’s appointment as treasurer at the 26 February 1848 organization of the schools of Rivoli township (T14N, R1W). On 3 June 1854, Richard was a trustee of school district #1 in Rivoli township, Mercer County (S39, 17:6). Cox, R. R. Retired, P.O. Oxford; born in what is now called Wayne Co. Ind. near Richmond, Aug. 29, 1805; left there and removed to Tippecanoe Co. Ind. in 1824, and remained there until the Spring of '37; then removed to Mercer Co. this state, just across the line in Rivola Tp., at that time there being but three families in the Tp; he remained there until 1864, then removed here, his former home being but three-quarters of a mile from where he now lives; has family, five children living, four dead; been married twice; . . . ; has been Justice of the Peace 24 years; two terms as County Commissioner; two terms as Supervisor, and held other town offices; Rep; Bapt.